Disclaimer: “Pocoyo” names and images are the copyright, trademark and property of Zinkia Entertainment, S.A.. All rights reserved. 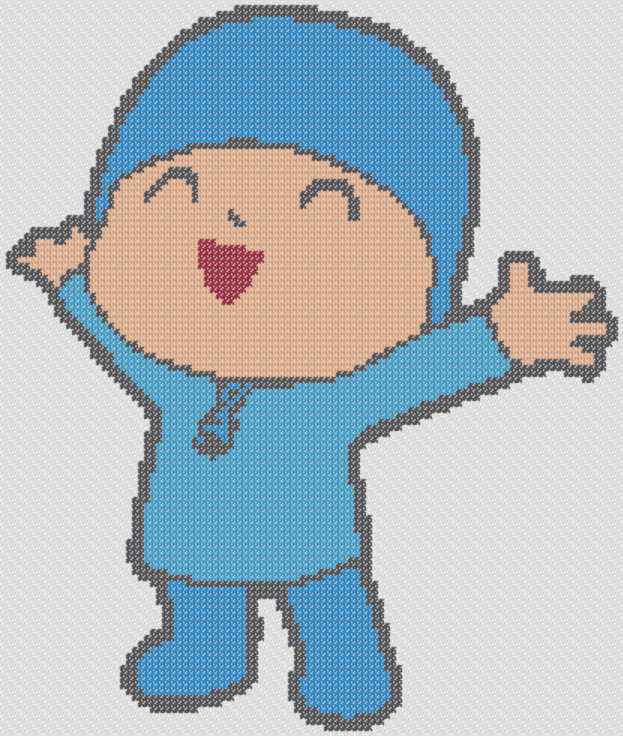 Cross stitch patterns found in this site bearing the Pocoyo names and images are for personal use only. Download our Pocoyo Happy stitching chart zipped file (approx. 535kb — downloaded 170 times) The password for this download is “crossstitch4free” without the quotation marks.